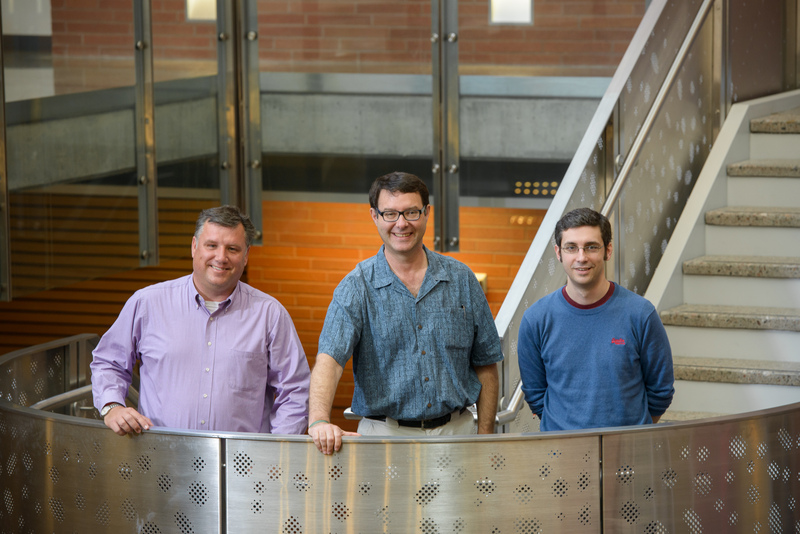 Electricity generation and distribution infrastructure in the Western United States must be “climate-proofed” to diminish the risk of future power shortages, according to research by two Arizona State University engineers. The authors say the changing conditions could significantly constrain the energy-generation capacity of power plants – unless steps are taken to upgrade systems and technologies to withstand the effects of a generally hotter and drier climate. Bartos is a research scientist and Chester is an assistant professor in the School of Sustainable Engineering and the Built Environment, one of ASU’s Ira A. Fulton Schools of Engineering. Chester also has an appointment in the School of Sustainability in ASU’s Julie Ann Wrigley Global Institute of Sustainability. 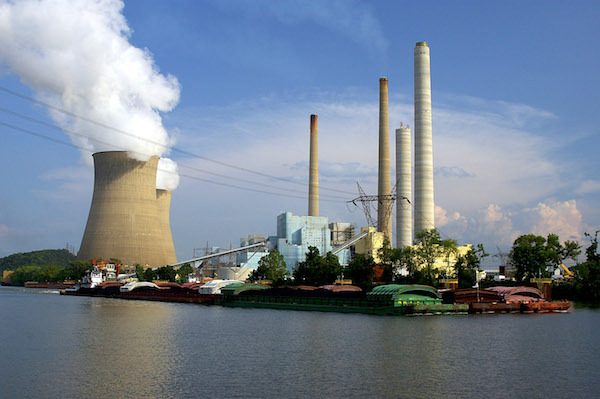 In their article “Impacts of climate change on electric power supply in the Western United States,” they report that power stations are particularly vulnerable to adverse climatic conditions predicted to occur within the next half-century. The West is expected to see greater energy demand due to population growth and higher temperatures. Bartos and Chester say power plants must strengthen transmission capacity and enact conservation strategies if they are to remain capable of reliably supplying power to the region as conditions change. Power providers also should invest in more resilient renewable energy sources and consider local climatic constraints when selecting sites for new generation facilities, the authors said. “Diverse arrays of energy-generation technologies are used by the West’s power grid. We are looking at five technologies: hydroelectric, steam, wind and combustion turbines, and photovoltiacs,” Chester said. “We’re finding that some power-generation technologies can be more climate-resilient than others. Renewable energy sources are generally less susceptible to climate change impacts. So more use of renewable sources may contribute to a better climate-proofed power infrastructure,” he said. The research conducted by Bartos and Chester in this area has been supported by a grant from the National Science Foundation's Water, Sustainability and Climate program. Nature Climate Change is a monthly journal dedicated to publishing the most significant and cutting-edge research in the science of climate change, its impacts and wider implications for the economy, society and public policy. The next big thing in space research is small. Small, agile companies and small, inexpensive devices are changing how we explore the universe. Arizona State University researchers are working with both. The next big thing in space research is small. Most people have probably heard of such companies as SpaceX and Virgin Galactic. The term “NewSpace” is often used to describe them. But what does that word mean? The field is growing rapidly. NewSpace Global, a company which provides information on the NewSpace, industry is tracking nearly 900 companies that have entered the industry, up from around 500 just a year ago. These include everything from small start-ups working on technology projects out of someone’s garage to companies with thousands of employees designing and building new rockets. Until recently, space exploration has typically involved relationships between government and industry or between government and academia. The relationship between academia and industry has traditionally been weak. ASU’s Space Technology and Science (or “NewSpace”) Initiative is leading a new integration of academic and commercial space enterprises using ASU’s core strengths in space science, engineering and education. One challenge is that academia and industry typically define success differently. For scientists and faculty, the goal is usually knowledge and training for students. For industry, the goal is usually boosting the bottom line. Matching these two worldviews is not always easy to do, but it’s what guides the initiative’s philosophy. ASU’s extensive experience in space science and exploration is an asset to companies working in this area. For example, ASU is home to the Lunar Reconnaissance Orbiter Camera and the Center for Meteorite Studies. The university is also a key participant in NASA’s Mars Odyssey orbiter, the Curiosity and Opportunity rover missions to Mars, and the upcoming Mars 2020 rover mission. ASU researchers have forged a number of smaller relationships with space companies for their own projects over the years. Scott Smas, the initiative’s program manager, is working to identify and leverage all of ASU’s space-related teams and their connections into something bigger for both the university and the industry. More than 150 ASU faculty members have some involvement with the space industry. Over the past two fiscal years, these relationships translated into $69 million in research funding through 211 awards. About 60 percent of those awards came through SESE and the Ira A. Fulton Schools of Engineering. But the rest came through perhaps less expected units, such as the Consortium for Science, Policy & Outcomes, the Biodesign Institute, and the School of Geographical Sciences and Urban Planning. Ultimately the initiative’s goal is to expand into an institute that ties all of these interdisciplinary avenues of space research together across the university. The institute could support a wide range of space-related academic programs, courses and degree programs, and offer robust internship programs that allow students to get valuable experience before graduation and give companies a chance to participate in cutting-edge research while training potential future employees. To that end, ASU recently became an associate member of the Commercial Spaceflight Federation, the trade association for the NewSpace industry. CubeSats are small satellites up to the size of a shoebox that scientists and engineers started experimenting with in the early 2000s. Their small, lightweight, modular design allows them to hitch rides as secondary payloads on rockets launching larger satellites and remain in orbit to perform their tasks afterward. This makes them relatively cheap and easy for researchers at universities or small companies to build for a variety of purposes. The CubeSat standard emerged from early experiments at ASU and Stanford with nano satellites (these weighing less than 10 kg). The industry around them is experiencing a re-emergence in the U.S. and is particularly strong in Japan and Europe. Tech companies ranging from small start-ups to Google are looking at a variety of business applications for CubeSats. For example, a single CubeSat or small group of them could be equipped with cameras and set to cover a city like Phoenix. They could be used to monitor traffic in certain areas to help urban planners, or to monitor a business parking lot or that of a competitor to estimate customer activity. CubeSats can also monitor weather, facilitate communications, perform microgravity experiments and more. With space agencies and launch providers now investing in their potential, CubeSats are experiencing exponential growth in terms of projects and launch opportunities. ASU is taking an active role in the field. Faculty and staff at SESE and affiliated with the NewSpace Initiative are working on rebuilding the university’s radio ground station. Once complete, this will give ASU the full range of in-house space operations capabilities – from building a CubeSat to communicating with it in orbit. Thanga and SESE professor Erik Asphaug are working on a mission set to launch in 2016 that exemplifies ASU’s space research capabilities. Their CubeSat will carry pieces of meteorites into Earth orbit in an attempt to re-create the surface conditions on asteroids millions of miles away. This will enable them to re-create an environment for scientific study that would be too costly to visit for most researchers. The research will be relevant to the kinds of missions that NASA and NewSpace companies are considering, and it will provide valuable training for students. For Craig Hardgrove, an ASU postdoctoral research associate and director of research at the NewSpace Initiative, one of the most exciting things happening in the industry today is the birth of low-cost planetary exploration. Using his background in planetary science, Hardgrove helps catalog ASU’s diverse space research community and matches faculty and staff with NewSpace companies for potential collaborations. The missions they pursue are much cheaper than typical space missions, which can range from hundreds of millions of dollars to more than $2.5 billion for something like NASA’s Curiosity rover. “We’re proposing a mission for $5.5 million on a shoebox-sized spacecraft,” Hardgrove said of a recent proposal he submitted with commercial partners. As an early-career scientist, Hardgrove is especially enthusiastic about the opportunities that NewSpace is opening up. “I’m a post-doc and just got my PhD three or four years ago, so it was amazing to have an opportunity to propose a mission like this. Regardless of whether or not we win, I got some really great experience,” he said.